The Great Himalayan National Park (GHNP), is located in Kullu region in the state of Himachal Pradesh. The park was established in 1984 and the total area under Park (National Park, Wildlife Sanctuaries and Ecozone) is 1171 sq km, which is together referred to as the Great Himalayan National Park Conservation Area (GHNPCA). The altitude varies between 1500 and 6000 m forming a very diverse geographic feature as a habitat to numerous flora and many species of fauna , includes approximately 31 mammals, 181 birds, 3 reptiles, 9 amphibians, 11 annelids, 17 mollusks and 127 insects. Jibhi Adventure offers hassle-free treks in the stunning Great Himalayan national park. Contact us to know more. 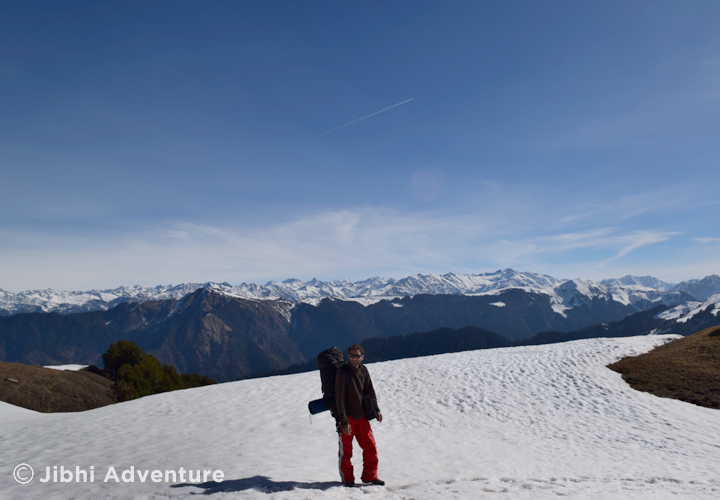 Jibhi Adventure offers hassle-free treks in the stunning Great Himalayan national park.